Every time you hear an SEO warn you about Google penalties, most of them think about algorithmic penalties like Penguin or Pandan. But there are different types of penalties imposed on websites by the search engine. Getting a penalty means losing some or all of your traffic. And before you ask, no, it’s not just the robots blindly penalizing websites; there are human engineered penalties called manual action penalties. What’s a Manual Action Penalty? There are people whose job it is to review websites and assign a rank penalty (if needs be). When Google runs an algorithmic sweep, it is felt as a wave in the SEO community: multiple websites go up or down in the rankings. A manual action penalty means that only your website has been hit and that it’s your problem. 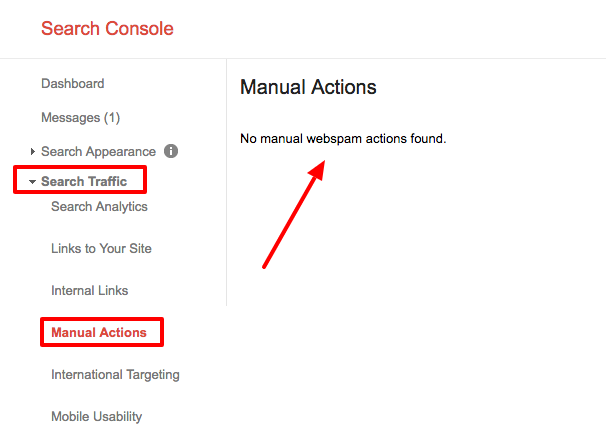 So if you do see a message in the manual actions section of the Search Console, it will be describing the type of penalty imposed on your website. You can have a Site-Wide Match that affects the entire site or a Partial Match that only affects certain pages of your site. Some of them only happen when you clearly doing some shady black hat stuff like. Other penalties can happen to most webmasters though. No need to freak out though, if you fix the problems Google has flagged, you can request a review of the penalty right in the search console. After your request has been submitted, it will be reviewed and if approved, the penalty will be lifted. Let’s look at 5 common types of penalties you can get and how to recover if they happen to your website. Unnatural Links from Your Site: your website is hosting unnatural, artificial, or deceptive outbound links. Unnatural Links to Your Site: same thing but this time the shady links pointed at your site. These manual actions are in line with the Penguin update that targets bad links used to manipulate ranking. If you have this type of penalty, you need to clean up your paid links, spammy forum comment links, links from low-quality directories, etc. etc. If you have no clue what this means, then I highly suggest you do 2 things: hire an SEO expert to audit your website and then have a frank talk with your current SEO provider with the audit in hand. So, this type of link penalty can be caused by black hat SEOs having hacked your website and installed their own links or by someone have legitimate access to your website linking to some scammy stuff online. Use a link analysis tool like Ahrefs or Majestic to get a list of your outbound links. Download a list of external links from the reporting options. Once you have that list you need to identify the links on your site that are against Google’s Webmaster Guidelines. Once that’s done you can either remove the links from your website or set the links to “nofollow”. You can get a list of your backlinks through Majestic or through any other backlinks analyzer. If you don’t have access to such tools, Search ConsoloYou can get a list of links pointed at your site using your backlink analyzer of choice, or you can use Search Console Search Traffic>Links to your site to download a list. Find the backlinks that are problematic and request they be removed by contact the owners. If they don’t respond, you can use Google’s Disavow Tool to signal these links. Once that’s done, you can submit a reconsideration request to the search engine. User-Generated spam means that users of your website are spammers. In Google’s eyes, it’s still your job to clean this mess up. 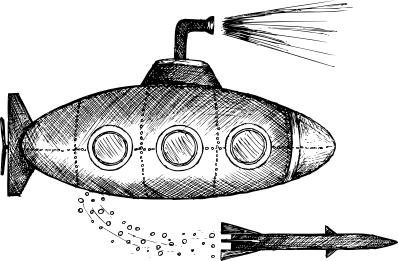 If you have forum pages, guestbook pages, blog post comments or any other areas on your website where spam can appear, you need to check that up. If you’ve gotten a User-Generated Spam penalty, it doesn’t mean you’re a spammer – but your site users are. As far as Google’s concerned, it’s up to you to clean up. If you use WordPress, download a plugin like Akismet to filter out the spam comments. You also need to clean up the spam that made it through the filters and onto your site. If it doesn’t add value, just remove it. Same goes for user profiles that seem dodgy. Do not hesitate to purge spam accounts that have no profile photo, no description and post weird content. To fight this in the future you should make sure your links are “nofollow” for comments, allow users to report spam and moderate all comments so that they don’t automatically get posted on the website. If you have this problem though, you really need to clean everything up otherwise Google won’t reconsider their penalty. You can choose to go through all the user-generated content and clean it up or delete it all in one go, even the good content. Penalties can also happen if a site gets hacked. One of the biggest reason why websites get hacked is SEO spam. Understandibly, Google wants you to clean this mess up to avoid threats to your visitors. Sometimes, you don’t even a “Hacked Site” penalty. Instead Google just labels your site “Pure Spam”. Not fun. Take your site offline. Stop the web server or set up a 503 response code. Change all of your passwords (sys admin, CMS, FTP and all other access points. Before you start fixing things, figure out how hackers got into your website. Otherwise, there’s a risk they could use the same route to gain access to your site again. Out-of-date CMS, theme, plugins, etc. Opening this can of worms isn’t for everyone. If this sounds like it’s too much for you, you are better off hiring a profesionnal to audit the situation. This is most likely the main thing you need to hire a pro for. The clean up requires attention to detail, security knowledge and experience. If hackers got access to confidential user information on your site, you MUST check what your legal responsibilities are. Sneaky redirects: indexed pages in Google lead users to content that has nothing to do with their original search intent. Use Fetch as Google to see how Google sees your website. If you see any differences between what Google renders and how things show up in a browser, FIX THEM. Let’s get real for a second, cloaking is 99% of the time a deliberate action. So check in with your developer or SEO to see if someone can help out or admit they are the source of the problem. To tackle the redirects, crawl your website with a tool like Screaming Frog or Xenu. Check the “Redirect URI” portion of your crawl. If you see any addresses that don’t make sense: sending visitors to a website you don’t know or to a page that has nothing to do with their query, fix it by redirecting to a more appropriate page. Google sometimes sees anti-hotlinking plugins that protect images and bandwidth for webmasters as cloaking. Ads and buttons on your website could also be triggering the penalty, especially the ads that look like trusted entities but aren’t (those Microsoft looking ads for example). Thin content, shallow content, duplicate content or any other type of crappy content could cause a manual action. Thin content is basically content that isn’t seen as original and unique. When does this happen? When you have minimal content for the purpose of sticking an affiliate link in there. When content is copied all over your website. Basically when one content ends up in a lot of your webpages. This happens a lot in local directory pages for example. Once you are sure you cleaned up all the thin content on a website, you can submit a reconsideration request. If you are done with the cleanup portion, you can submit a reconsideration request by yourself in the Search Console. Go to Manual Actions and click the “Request a review” button. Be as specific as possible and provide relevant information regarding the cleanup process undertaken before the request was submitted. If the explanation turns out to be too long, just write it in a Google Doc and include it in your request. What type of information should you include in your reconsideration request? After submitting your request, you should receive a confirmation from Google. If all goest well, you should get a second communication notifying you that the manual action penalty has been removed. If you weren’t up to snuff and Google denies you, they’ll inform you that your website is still violating Webmaster guidelines. If you get a Manual Action Penalty from Google, you can always clean it up. All is not lost. Just follow the steps in this article to clean up the things Google pinpointed and avoid these issues in the future by following the Webmaster Guidelines.